Mac Miller always tried to keep it real with his fans. Whether he was rapping on stage or speaking out in documentaries, the rapper never shied away from discussing his struggles with addiction. At the same time, today's news that the talented artist—born Malcolm James McCormick—passed away came as a shock to fans around the world. The rapper was found dead at his home in Los Angeles on Friday, two law enforcement sources told NBC News. Los Angeles Police and Los Angeles Fire initially responded to reports of a possible drug overdose. As the tributes continue pouring in from Hollywood's biggest stars, some fans can't help but remember his revealing quotes about dealing with sobriety in the public eye. "I'm not doing as many drugs. It just eats at your mind, doing drugs every single day, every second. It's rough on your body," he explained to Billboard back in August 2015. "That was the plan with Faces: 'Grand Finale' was supposed to be the last song I made on earth. I don't feel that way as much anymore." As his fame continued to grow, some could argue that Mac worked even harder to live a healthier lifestyle. "I'd rather be the corny white rapper than the drugged-out mess who can't even get out of his house," he once shared with Fader. "Overdosing is just not cool. You don't go down history bc you overdose. You just die." But before he came to that realization, Mac admitted that he would get "super f--ked up." At the same time, he reminded those close to him that he was in control of his life. "It started by me just sitting inside all day. Then you get bored. Then you're like, ‘Well, I could just be high and have a whole adventure in this room,'" Mac revealed in the documentary Stopped Making Excuses. "It kind of f--ks you up when you have a bunch of money because if you try a drug and like it, you can buy a lot of it. I went through about everything." 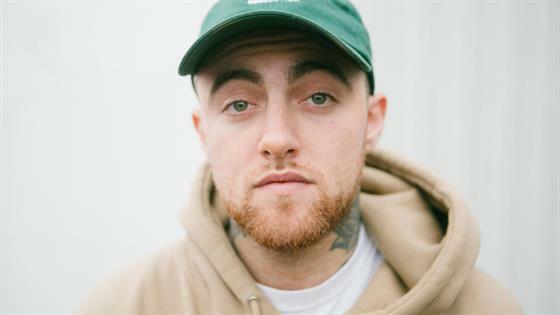 After admitting to starting drugs at 15 years old, Mac witnessed close friends suffer health scares. His experiences led to tracks about sobriety and addiction including "What's the Use," "5 O'Clock" and "Weekend." "I only go places wasted like I'm Joe Namath / Not a king, I'm no David, music, I'm a crackhead," he rapped in "Grand Finale." "No hobbies and recreation, don't even know my address / Self medicate, self education." While Mac admitted that his experiences with drugs produced memorable songs, he assured fans that health was his main priority. "Great music came from it, but I'd rather be in the place I'm at now," he previously shared with Billboard. "Shout out to The Clancys—that has been one of their main focuses: my health. I'm not 100 percent clean, but I'm not a piece of s--t anymore. I can look in the mirror and be like, 'I look OK.'"